Answer: To paraphrase the late great Leonard McCoy, damn it Jim, I’m an astronomer, not a veterinarian. But I was able to find some info about this curious phenomenon online. The Wildlife Science Center up in Forest Lake, MN says they’re not so much howling at the Moon as because of it. Turns out all canines share a love of hunting in a pack. Certain natural conditions make for better hunting, like when the Moon provides good light at night. Wolves, coyotes, and dogs are often described as opportunistic hunters. They prefer to expend their energy on a hunt when their chances for success are greatest. When these nocturnal predators sense the advantage of increased light, their instincts tell them it’s time to hunt. Howling is one way of signaling the pack, or finding a partner with whom they can hunt. Before a hunt, canines will often gather in a “rally” and howl en masse in anticipation of the event. It’s a universal canine ritual. The photo above shows my dog Astro. She’s extremely intelligent. 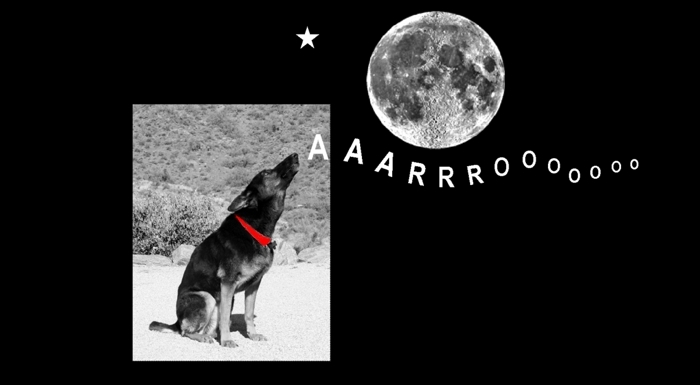 Instead of howling at the Moon, like other canines, she prefers howling at Sirius, the “Dog Star.” Sirius hasn’t howled back yet, but she keeps trying anyway. Good dog.